Home > Skurnik Unfiltered > News Feature > Our Agave Portfolio is in Full Bloom! From Chihuahua to Jalisco, from Michoacan and south to Oaxaca, the team here at Skurnik has always held a special love for Mexico and the spirits she grants us. Well, the New Year brings new possibilities, and for 2019 perhaps our greatest possibilities run alongside that great love: we could not be more proud to bring you this news! The iconic importer, Heavy Métl, is returning to our welcoming arms. Our bonds with historic brands are stronger than ever. New producers are waiting in the wings. As of this writing, a majority of what we believe are the best, most traditional and most integral producers of Mexican spirits currently exported to the United States can be found under one roof: Skurnik Spirits. We’ll start with our stalwarts, and the bedrock of our agave book, the Cortés family. 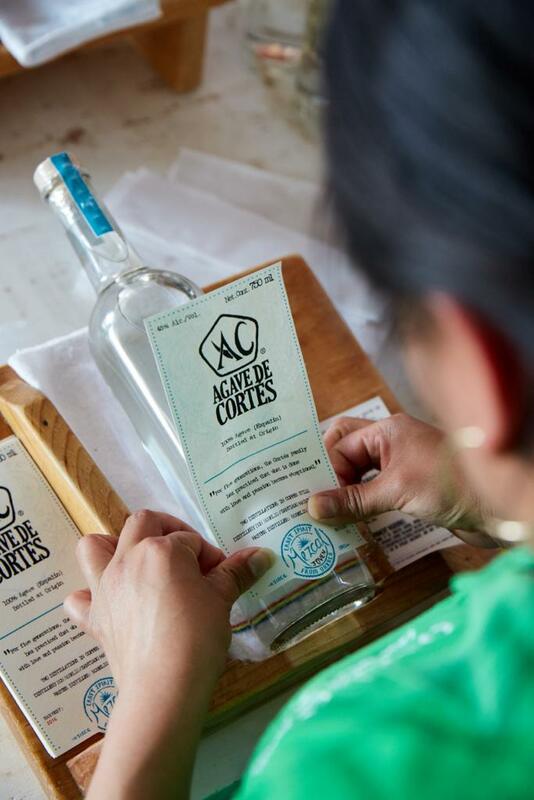 Based in Santiago Matatlán (often referred to as the Heart of Mezcal), Valentín Cortés and his Zapotec ancestors have been some of the most highly regarded mezcaleros in the community since at least 1840. 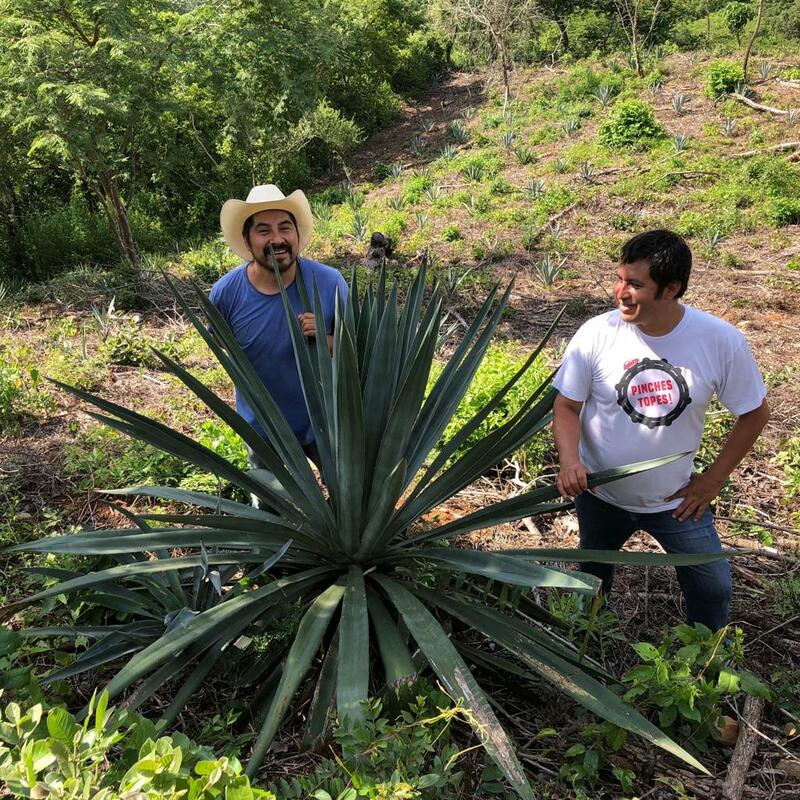 When the mezcal rush began in earnest, back in the mid-1990s, Valentín and his brother-in-law Gregorio pooled their resources and in the early 2000s created their own brand – a rare feat among the indigenous community at the time (and arguably still today). This label, Agave de Cortés, is their core mezcal – and ours; its broad shoulders are what all the rest of this labor of love now stands upon. Bottling cultivated Espadin agave from Matatlán, in joven and barrel-aged expressions, the brand is now strong enough to employ several extended family members and community members working from their own local palenques. Each bottle clearly delineates the mezcalero responsible, the date of distillation and the size of the batch; though they all share some consistent hallmarks of Matatlán mezcal, there are subtle variations which make exploring their different distillers and specific batches an unending source of pleasure. Based on the strength of Agave de Cortés, the family was able to expand their vision. In order to further support other iconic, indigenous mezcal producers around Oaxaca, they created two crucial lines: Nuestra Soledad and El Jolgorio. Tasting through Nuestra Soledad essentially is like taking a geographic tour of southern Oaxaca, through a mezcal lens. Using cultivated Espadin agave – grown and then cooked, fermented and distilled in one of six different municipalities across the state, in cooperation with legendary local mezcaleros from each community – the range offers distinct examples of the terroir found among some of the most important distilling communities in Mexico. San Luis del Rio, San Baltazar Guelavila, Miahuatlan, Santa Maria Zoquitlan, Ejutla and of course Santiago Matatlán are all represented with unique bottlings, in small careful batches that range from 200 to around 2100 bottles. The experience is educational. The opportunity to identify different soil, yeast, wood smoke and water sources in these major producing villages is greatly enhanced by the clarity of the mezcal bottled under the Nuestra Soledad label. 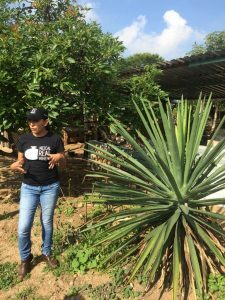 All of them are among the best examples of their region, and because the project is in collaboration with the mezcaleros, the communities retain direct benefits of their work and agency over the nature and nuances of future productions. This philosophy runs quite close to the fluctuating nature of mezcal itself. Wild yeast, agave sugar levels, minerals in the water, temperature during fermentation – these qualities may all fluctuate based on numerous variables, and no two batches of traditional mezcal will ever be quite the same. Embracing, even championing this quality is a mark of the honesty and cultural reverence inherent to the brands we work with, and El Jolgorio is one of the best examples of this in action. Where Nuestra Soledad is a collaboration that focuses on cultivated Espadin, the Jolgorio line is a collaboration as well (often with the same legendary mezcaleros), but focusing on what could be called rare mezcales. Batches change from village to village, mezcalero to mezcalero, based on agricultural availability and yield. When a mezcal producer distills a small amount of certain wild agave varietals, or perhaps redistills some Espadin mezcal into a spiritual and sacrificial Pechuga, or even allows an Espadin mezcal to rest in glass or clay for years and years before bottling – these are something special. With beautiful, colorful labels designed by Valentín’s son, Asis Cortés, to reflect the spirit of the maguey, El Jolgorio are true gems, coveted by collectors and enthusiasts worldwide. It is deeply serious, but tons of fun; it is medicinal, but strong alcohol; etc. There may well be no better example of the beautiful paradoxes that can blossom within mezcal than Real Minero. Championed and overseen mezcal icon Graciela Angeles Carreño, and distilled by her brother Edgar Angeles Carreño, Real Minero tiptoes along the finest, most extreme line between modernity and tradition. Graciela is among the most widely acknowledged thought-leaders in the field. She conducts extensive scientific and historic research into agave and mezcal; employs several botanists, working with the brand to create a nursery and laboratory to protect, preserve and study the plants; vigorously champions social justice, economic and labor issues within the mezcal industry; and funnels a portion of proceeds into creating the first library in their rural mining community of Santa Catarina Minas. Yet, Real Minero is as deeply rustic and culturally historic as mezcal production can get. Roughly translated as “royal miner”, the brand is exemplary of the minero style of mezcal which can only be certified from Santa Catarina Minas specifically. Minero implies a production method otherwise referred to as en barro or en olla: distillation occurs in handmade clay pots, using a carved wooden spoon suspended on string to collect condensed distillate. Much of their agave is broken down after cooking by hand-mashing with massive wooden bats, like a mortar and pestle of exhausting size. These countryside methods have not changed in hundreds of years. Renowned for the quality, clarity and unique character of their minero mezcal, as well as for their deep integrity and conservationist agricultural practices, Edgar and Graciela simultaneously represent a deep cultural history and the best way forward into the future of mezcal. A thought-leader of an entirely different kind, maestro Romulo Sanchez Parada and his charming crew of family members – brothers, cousins, nephews, etc. – manage to be some of the most creative and experimental producers of traditional mezcal you’re likely to encounter. 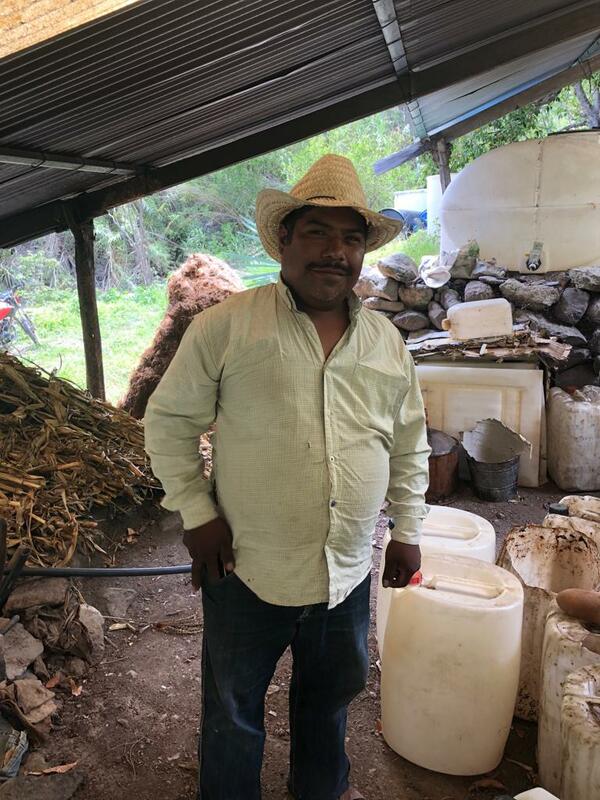 While retaining a strong focus on historic methods, Romulo finds new and exciting ways to tweak things and push the envelope; he might try out minero-style clay pot stills for a bit, or experiment with field blends of rare agaves (like his notorious Jabali-Tepextate ensemble)… his mezcal remains rooted in tradition, but always with one eye restlessly searching for a new path forward. Perhaps Romulo’s most famous innovation has been the rustic, homespun technology he used to facilitate the distillation of the challenging Jabali varietal. Before his work, the accepted wisdom was that Jabali, which tends to foam during distillation and literally blows stills up, could not be made in batches large enough for commercial release. Using only implements already at hand – but with a creative new approach – Romulo managed to bypass this issue and the new method spread like wildfire among Oaxaca’s mezcaleros. We ourselves now carry multiple Jabali bottlings. With over 70 years of family experience, and one of the most diverse agave nurseries in the state, Rey Campero truly is “King of the Countryside” as their name suggests. For most travelers in Oaxaca, the culture of mezcal is experienced by visiting a small mezcaleria – almost like a liquid library, a great mezcaleria is a tasting bar of rare agave spirits. The quintessential of these, certainly the most revered and the most librarian of all those in Oaxaca, is Mezcaloteca. The aim of its founders, Marc Ochoa and Silvia Philion, is not indulgence so much as education, and sitting at their bar can be like attending a seminar study in agave. The more deeply you question and explore, the more you will be rewarded. Gathering bottles and batches from producers all over Oaxaca, and several other states as well, the staff of Mezcaloteca guide visitors through some of the most beautiful and unique agave distillates to be found, each with a label that carefully details every available aspect of production (giving notes on location, elevation, milling process, proofing process, water source, batch size… all of it). Today, the bar also has a limited line of commercially available bottlings which are now available internationally. Called Mezcalosfera, a spoonerism of mezcal and atmosphere, the brand allows them to release small yields of unique bottlings – all one-time releases, in extremely limited supply. The majority come from the Miahuatlan region in the South, but special releases may turn up from anywhere the duo choose to highlight, the offerings a journey into the biodiversity and wide range of approaches at work in mezcal culture. Their selections are consistently mind-blowing. Joining the Skurnik stable in February, La Medida Mezcal (“the measure”) is a collaborative brand created by Julián Vidal Gómez Rodríguez, one of the unsung icons of Oaxacan mezcal for over 40 years. Julian’s history reads like a narrative of the evolution of the modern mezcal industry, and a gradual transition in scale. Beginning with early commercialization, decades ago, Julian witnessed firsthand the rise of industrial distillers like Monte Alban and Benevá; he left to help open the door to artisanal mezcal alongside Ron Cooper during the first years of Del Maguey, and eventually he moved on to co-found the tiny artisanal brand he operates today. Alongside his son, Julian works in concert with several highly regarded mezcaleros in Miahuatlan, San Baltazar Guelavila and Río Golea (including the enigmatic legend Don Celso, who co-founded the brand) to showcase a diverse range of wild and cultivated single-varietal bottlings. We are thrilled and honored to introduce their life’s work to the US market for the first time! Another important producer from the heart of Mezcal country, Santiago Matatlán, Cruz de Fuego is helmed by a mother-and-son team, Margarita Blas & Carlos Mendez. Using traditional methods (horno, tahona, copper pot distillation) the duo makes some truly outstanding single-varietal and ensemble mezcales which have won awards across the US and Europe. We’ve started off with their delicious (and well-priced) Espadin, but with luck you might see a few more of their bottlings make their way to us soon! Created by cousins Edgar Gonzalez Ramirez & Elisandro Gonzalez Molina, Tosba Mezcal is unique among Oaxacan spirits. While most commercial mezcal in the state comes from the Central Valley, in the southeast of Oaxaca, Tosba can be found in the very far north – among the Sierra Juarez (Sierra Norte) mountains, just south of Veracruz. In fact, their name, Tosba, is Zapotec for “only one” – when they set out to create their brand, they were the only active mezcaleros up there. He went home and began building a new palenque with his father, purchasing and harvesting all the agave hijuelos and seeds he could find. To this day, he plants significantly more than he harvests, and he grows predominantly from seed – hundreds of thousands of plants are now in his nursery, with a wide diversity of varietals. Because they started the palenque from scratch, the cousins were able to rethink a few things. For example, they built an adobe lip that curls inward onto the top of their horno (to imagine it: most horno are shaped like a martini glass inside — this is more like a champagne coupe). The lip refracts heat back down, into the oven, allowing them to cook to a higher temp with less wood (and so less smoke exposure). They primarily use driftwood to smoke agave, and sustainable biomass like peat moss to heat the stills, all to combat the deforestation which is often an underreported consequence of mezcal production. In general, their approach has been focused on sustainability: Edgar is quite clear that the goal of this project and brand is to benefit the future generations of the Sierra Norte. While not technically (or at least, typically) an agave distillate, sotol is a close relative – of both the plant and the spirit. A wildly variable organism, sotol plants can take anywhere from 7 to 22 years to reach maturity for harvest. 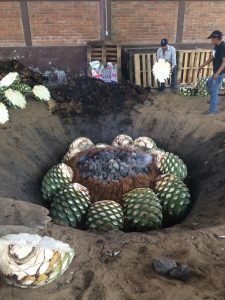 Just as in mezcal, the heart of the succulent is removed and smoked in an earthen pit, then milled, fermented and distilled. Notably, sotol hails from Chihuahua, the tiny state at the northern border of Mexico (you know, that place you’ve read so much about lately). Sotol Por Siempre is a marvelous example and is the core of our sotol portfolio. The Perez family who own and produce it boast six generations of history, dating back to the days when maestro soloteros were often persecuted by the government, much like moonshiners during Prohibition. Sotol Por Siempre is an ideal introduction to the category – classical, deeply artisanal (including spontaneous fermentation and copper pot stills), and approachable in terms of both price and palate! A cooperative brand spotlighting small regional distillers across Chihuahua, Clande’s name specifically references those years when sotol viñatas were illegal – clandestine. Special limited releases will come and go, but a comprehensive core focuses on the variation of sotol styles from the desert and mountains, as well as an ensemble blend of sotol and lechuguilla agave (an otherwise lost tradition within the commercial category). The two expressions of Sotol del Desierto represent the two major categories of the region, sotol from the desert and sotol from the mountain forests. Distilled at two distinct viñatas, these two expressions beautifully highlight the wide range of palate and aromatics between the two points of origin. Both are made from wild harvested sotol plants, although the subvarietal changes from Dasylirion wheeleri in the sierra (distilled in Madero by Jose Armando Fernandez Flores) to Dasylirion leiophyllum from the desierto (distilled in Coyame del Sotol by third generation sotolero Gerardo Ruelas). Experiencing the two offerings side by side is an education in the terroir of Chihuahua, from the pine and herbs of the forest to the earth, leather and cacao of the desert. Loosely translating to “little root,” raicilla is an agave distillate from the highlands of Jalisco which is distinctly different from either tequila or what we typically consider mezcal. Often featuring a longer fermentation and a lovely, fragrant and floral aromatic quality, raicilla highlights entirely different qualities in the agave. Notes of pineapple and even lactic acid qualities reminiscent of cheese or yogurt are not uncommon. Rio Chenery’s Estancia Raicilla is a lovely example of the category. 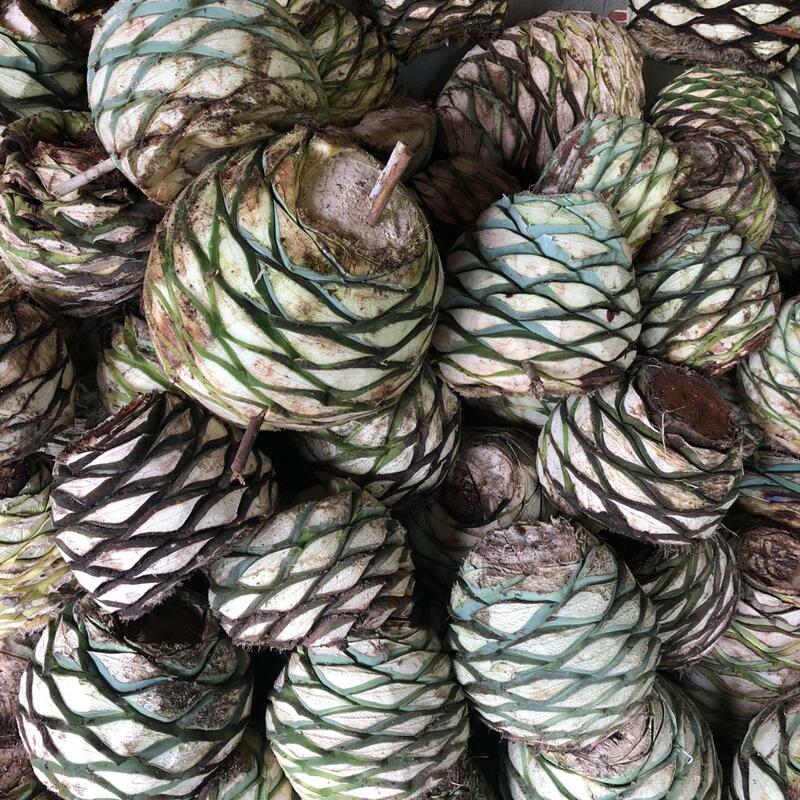 In the mountains of Jalisco, the uncommon Agave Maximiliana is cooked for just two days in an adobe oven before being crushed and fermented (in ex-Jack Daniels whiskey barrels). Rested in glass and stainless steel, the spirit takes on a rich, almost creamy texture before bottling at an approachable 40% ABV. Truly a unique agave spirit. 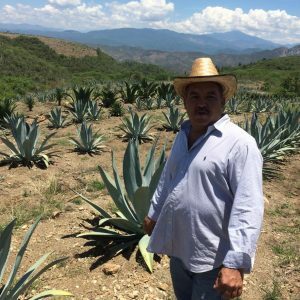 A truly elegant and elevated example of Jalisco’s “other” agave spirit, Las Perlas Raicilla is produced on the coast of Jalisco, at the Hacienda El Divisadero by fifth generation taberneros (or raicilleros), the Diaz Rubio and Diaz Ramos families. Las Perlas is made from a blend of Amarillo (Rhodacantha) and Verde (Angustifolia) agaves – otherwise known in Oaxaca as Mexicano and Espadin, respectively. The agave is cooked in a stone pit, with water added early to steam the hearts. Subsequent fermentation is quite long, lasting for 3-4 weeks in deep mason pits (almost like swimming pools); much like in Jamaican rum or Chinese baijiu, this allows the formation of increased bacteria and wild yeast interaction, which in turn leads to longer chains of fatty acids, which themselves lead to more esters in the final spirit. Distillation is done using two separate stills – a stainless steel pot still, and a historic hybrid “Filipino” still made from copper and wood. The result is delicate and floral yet funky and generous, a high-wire act of agave spirit.